Return of the Dragons Box Sets! My Return of the Dragons series is now up to nine books! I know it can be pretty intimidating to start a long series, so I've bundled up most of the books into two box sets. 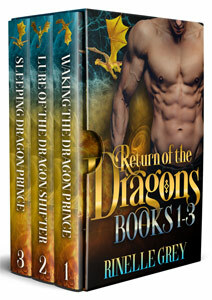 Return of the Dragons Books 1-3 contains two long prince stories, and one shorter shifter story. 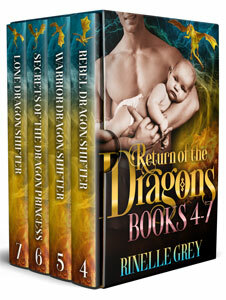 Return of the Dragons Books 4-7 has one full length princess story, and three shorter shifter stories. The prequel, Loyal Dragon Shifter, is still free! If you haven't started this series yet, this is a great way to get the books at a discount.